Whether you have a garden overflowing full of zucchini or just want to up your vegetable intake I have a super yummy recipe for you. 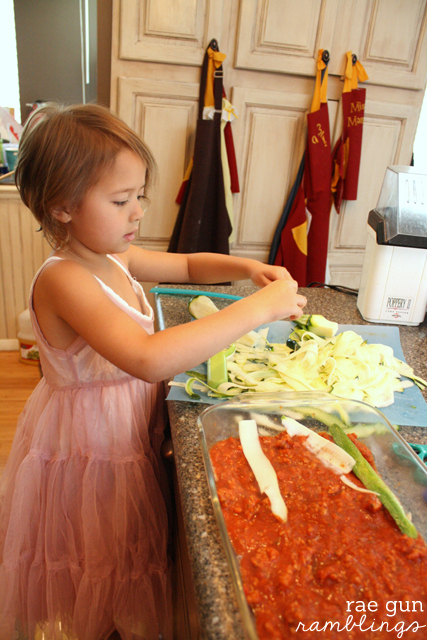 I absolutely love this zucchini lasagna recipe. It’s quick easy and just as satisfying and your traditional version but full of tons of veggies and no empty carbs. You can use your favorite lasagna recipe and just substitute zucchini “noodles” for the pasta or if you want to know what this is what I did for a 9 x13 pan. Prep your sauce by cooking up the meat if you’re using some and mix with your favorite marinara sauce. 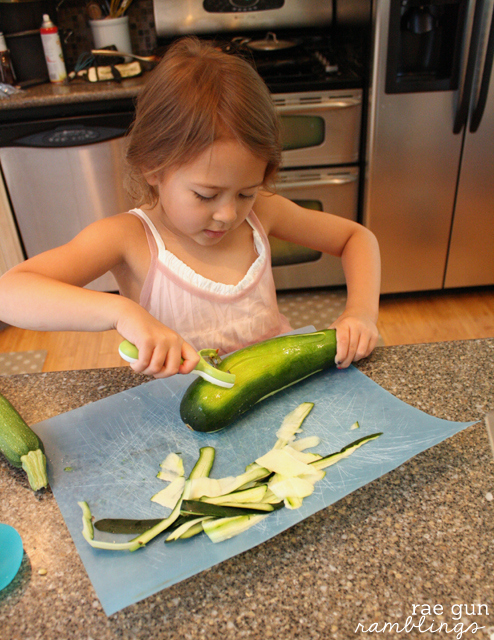 Then make your noodles by shredding the zucchini with a potato peeler. My niece loved doing this job I had to finish it at the end but she was a great helper. 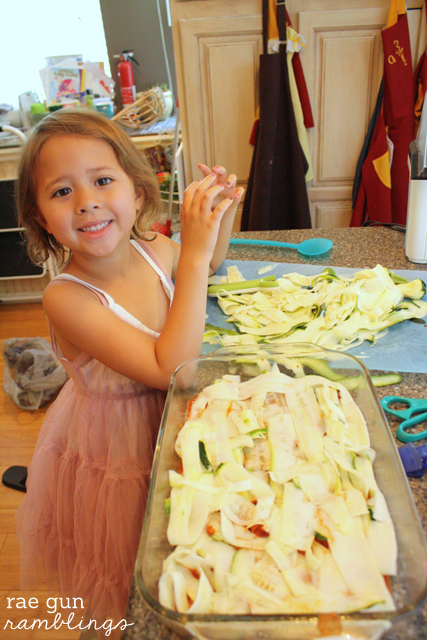 Then starting with a layer of sauce, then a layer (about 2 pieces thick) of zuccini noodles, then a layer of ricotta. Repeat until your pan is full an you’re out of ingredients making sure to finish with a layer of sauce. I used about 3 full layers of each. Yum! 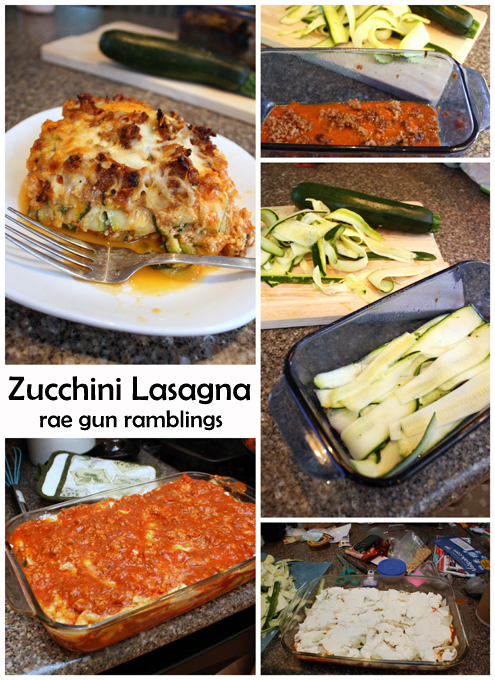 I have been wanting to try zucchini lasagna, and now I have a recipe for it! This looks so delicious! Yummo!!! 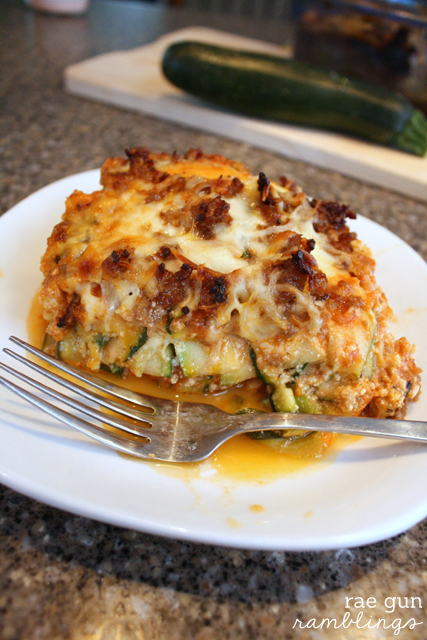 Love me some zucchini lasagna! It is my fav! This looks absolutely delicious! I think we are going to have to try it in our house and your nieces dress is absolutely darling! This looks absolutely delicious, definitely something I’m going to have to try. I’ve used a lot of eggplant and spaghetti squash in traditionally pasta-centered dishes, but never zucchini. I can’t wait to start experimenting with it. I love that everyone is posting their yummy zucchini recipes! 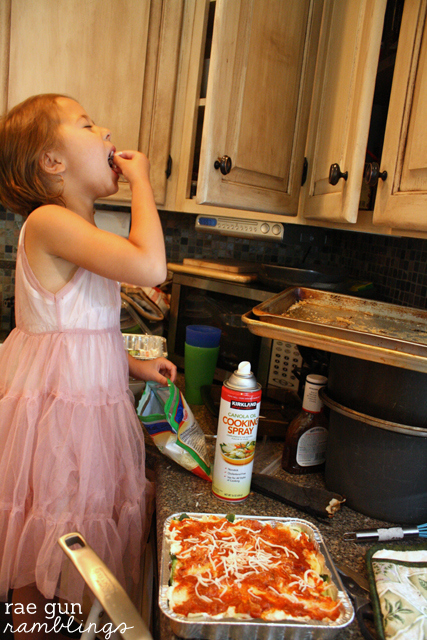 I do have to confess that i never had zucchini lasagna before! 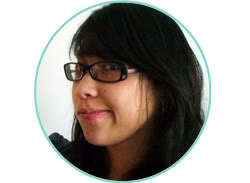 I’m going to have to try your recipe :)! Pinning it for later! oooh cauliflower lasagna sounds interesting too I may have to try that. We’ve done this with thicker grilled strips of zucchini, but I’d like to try this version. HI! I finally tried this recipe last week. Hubby and I loved it. It tasted better reheated. I ate it for a whole week. Being a diabetic is hard work and recipes like this makes my life a lot easier. Thanks for sharing! Oh I love hearing this! I need to try this. It doesn’t really look any harder than the traditional version and so much more nutritious. Great recipe!